Micromax Informatics, the home-grown smartphone manufacturer today announced a partnership with Uber – the ubiquitous ride-sharing app. 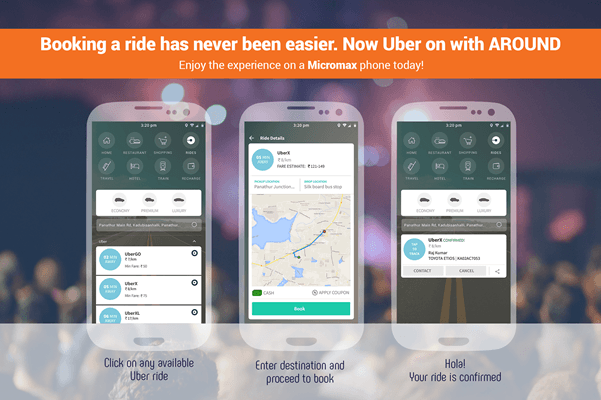 This collaboration allows Micromax to integrate the Uber app into its Around-Steroid launcher thereby by providing a native experience to all its users. The company will also factory load the app in close to 100 million Micromax smartphones. Micromax users will be able to link their Uber accounts and book rides without having the need to install the ride-hailing app separately. Also, users can get the ETA and fare estimates for their respective rides as they’d get otherwise. For those who are not aware, Micromax launched the ‘Around’ services with Yu Tele-ventures — a Micromax subsidiary in 2015. This service collects information from various apps in different categories and provides all of it in one place. 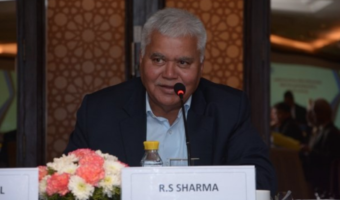 Commenting on the strategic partnership, Mr. Rahul Sharma, Co-Founder, Micromax Informatics said, “Mobile is increasingly becoming the 24×7 companion for a user and the native experience combined with host of services are driving that trend. In the recent days, Indian economy has witnessed mobile playing a vital role right from digi-payments to travel to music to social engagement. We are committed to bring services and partners that are valued by our consumers and UBER is a testimony to that. This partnership will help UBER unlock growth across the huge user base of Micromax in India and also help our consumers get the best in class experience from the leaders in ride sharing. 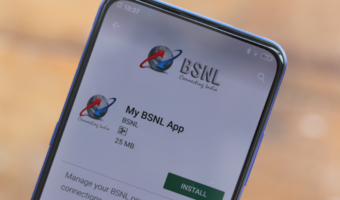 Our focus, going forward, will be on building native experiences that will bring alive a connected ecosystem”. Another crapware/ blotware in Micromax mobile. That’s why I hate it. Did you check other phone’s bloatwares? You should hate those also. 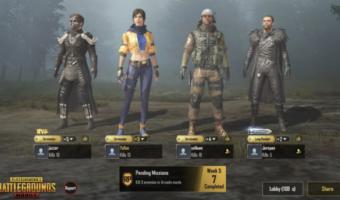 This is a way of increasing profit of all companies. At present I am using RN3 which have no bloatwares. Check yourself if you have doubt.